The Wölfe Attack scene. 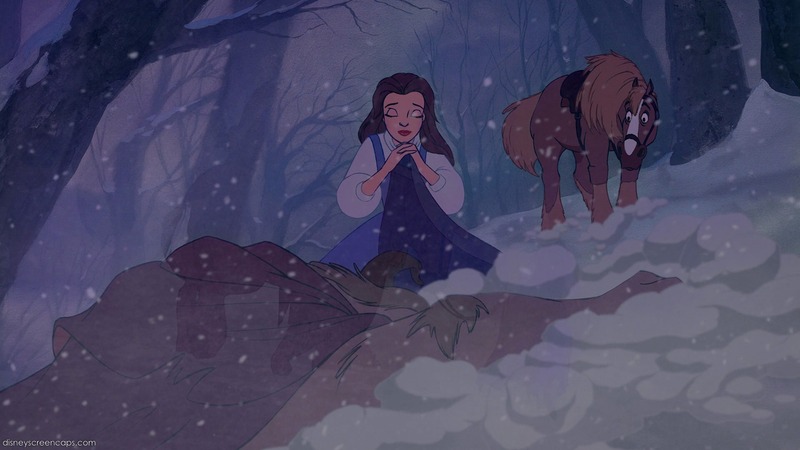 I like Belle in this part because her hair is untie.. HD Wallpaper and background images in the Die Schöne und das Biest club tagged: disney beauty and the beast belle beast phillipe wolves. This Die Schöne und das Biest photo might contain schneeverwehung, schnee bank, snowbank, schneewehe, iglu, igloo, skigebiet, and ski resort.